Many whisky distilleries on the Scottish Islands are located near the sea, it was the most logical place to build one as barley and whisky had to be shipped in and out to and from mainland Scotland. At the time the distilleries were built, most of them around the end of the 1800s, there were no roads and no ferry services as we know them today. A good example is the Isle of Islay where seven out of eight distilleries are located directly next to the sea and they all have a pier where ships can be moored at. If you travel in between the islands in the west of Scotland, especially in the Southern Hebrides, you can see quite a few distilleries from the sea for instance Tobermory on Mull, Talisker on Skye, the Isle of Jura Distillery and the aforementioned seven distilleries on Islay. For me, as a resident on the Isle of Islay, the view of a distillery from the Sea is so much more attractive than from the land. Somehow it reminds me of photographs from the old days where you could see the puffers at the pier in front of the distilleries which shipped cargo and mail to and from the Clyde. The experience of being out at Sea is a feeling you’ll never forget as the west of Scotland has some of the most stunning coastal scenery in the world. Greeted sometimes by Dolphins and watching the many Seals on the rocks is just fabulous and if you’re lucky you might spot a Sea Eagle or a Whale while sailing in clear blue seas thriving with life. For most of us a trip on the Calmac Ferry or a Sea Tour on a RIB from one of the many operators in the area are the best achievable ways to experience the Hebridean Islands from the Sea. However, there are some alternatives if you want to combine whisky distilleries and good old romantic sailing. One of them is the Tall Ship Thalassa, a stunning sailing ship which sails the west of Scotland and parts of Northern Ireland. I’m always looking forward to seeing the Tall Ship Thalassa in spring when she visits Islay for our annual Islay whisky festival. It’s a majestic sight to see her sailing up Loch Indaal and to anchor at Bruichladdich Distillery, or when she visits the distileries on the south and east of Islay such as Ardbeg Distillery and Bunnahabhain. It must be great to travel the Scottish Waters in such a stunning ship and to visit the Distilleries in this part of the world and the great news is that you can. 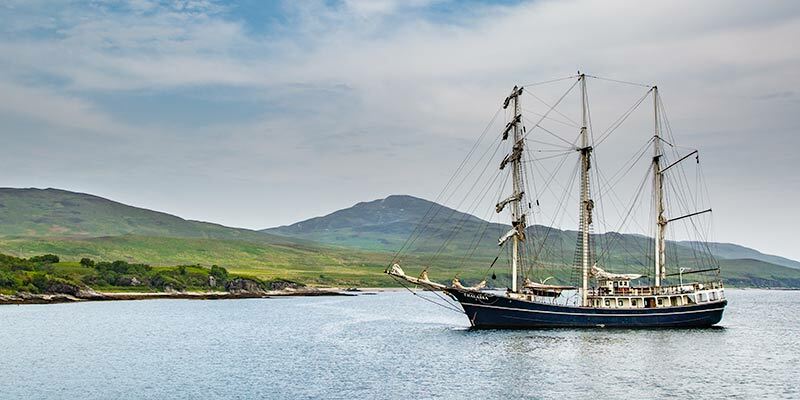 Tall Ship Thalassa sails the west of Scotland and offers Whisky Sailing Cruises departing from various ports in Scotland and Northern Ireland. They have very attractive seven day itineraries and offer distillery visits as well as tastings on board their ship. This is in my opinion the best you can get if you want to combine your passion for whisky with a superb cruise along the stunning west coast of Scotland and Northern Ireland. 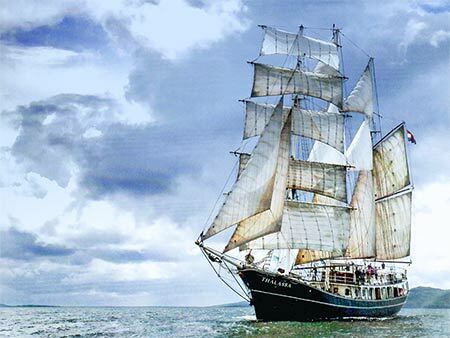 If you’re interested in a Sailing tour onboard the Thalassa please visit http://www.tallshipthalassa.nl/.